The melodic death-doom of Brazilian band Lachrimatory is slow and mournful and yet utterly exhilarating. Musically adventurous and instrumentally bold, listening to ‘Transient’ is similar to walking out through your front door blindfolded. At times, the music is sumptuously simple and elegant, before twisting off in an unexpected direction. The mixture of these two sides of the band make this a challenging and hugely rewarding experience. 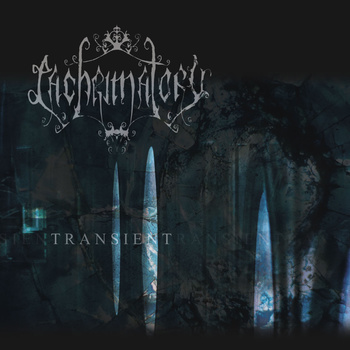 ‘Transient’ was self-released by the band back in 2011, but now has been made available as a professionally printed CD by the mighty Solitude Productions, celebrating the 15th anniversary of Lachrimatory. It is a beautiful and at times quite insane cacophony of superior doom metal, the sound of hope and love dying. Sinister yet tender keyboards and sorrowful cello strings are almost ever-present throughout the album, affording just a hint of Celtic Frost. Once or twice these devices seem a little over-used, although the band’s confidence and bravery is to be enthusiastically applauded. From the inventive drum work to the sublime supporting keys, they create some fascinating and original sounds that bring the music to life in a myriad different ways. The occasional clean vocals also make a welcome change. Lachrimatory are unafraid to take risks and leave their comfort zone, often with startling, epic results. This seems like both a continuation and a reinvention of the early, raw and exciting days of Anathema. On a few rare occasions, though, Lachrimatory’s boldness and willingness to explore their musical boundaries and stretch their own capabilities mean that the songs change direction too often, making it difficult for the listener to be fully immersed in the experience, no matter how willing and eager they are to be so. Elsewhere, though, such as amid the sublime beauty of ‘Void’ or ‘Deluge’, you can get lost in the delicacy of the band’s delivery – this is both heavy and heavenly. Only one song on the album – ‘Clarity’ – is anything less than excellent, and while it all merges into one hopelessly spectacular blur of doom, when it is over you’ll catch your breath and wonder where the time went. ‘Transient’ is a truly unique offering that at times transcends the genre and deserves to reach a wide audience. This entry was posted in REVIEWS and tagged Album review, doom death, Doom Metal, lachrimatory, Solitude Productions, transient. Bookmark the permalink.